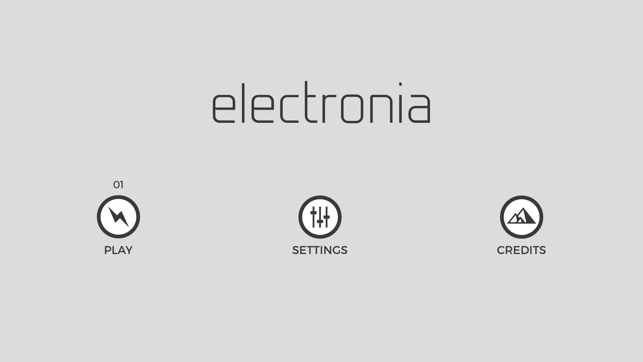 electronia is a minimalistic puzzle game that focuses on beautiful design and electrons on their way through electric network puzzles. 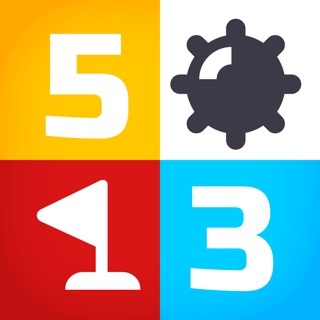 It features 50 lovingly handcrafted levels with slightly increasing difficulty level and provides a very relaxing and positive user experience. You can expect a playtime of 1-4 hours, depending on how fast you are. 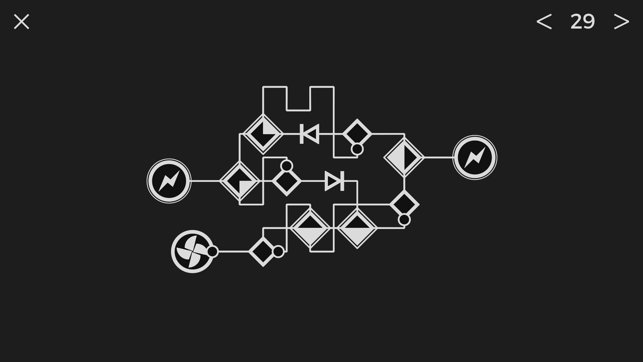 After you finish all network puzzles, a small bonus surprise awaits you. No in app purchases, no ads. Thank you for playing electronia and your support! 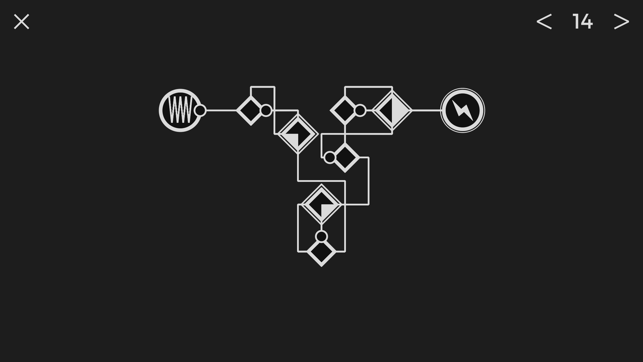 You should now be able to listen to your own music, while playing electronia. I played through 15 of the 50 levels, taking about 10 minutes. 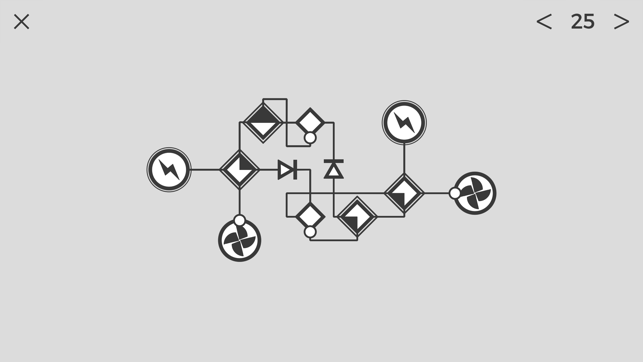 Based on the images and description I was hoping the game was based on logic gates or circuit components. Unfortunately it ends up just being a game of very simple nested mazes. Solving a maze involves tapping on the switches repeatedly until they go where you want them to go. As another reviewer noted, the switches have various states, but have no consistency about which are available, nor any visual indications. This means that you have to go through trial and error to figure out what tools you have available each level. And unfortunately that just exacerbates the tedium of progressive mazes. 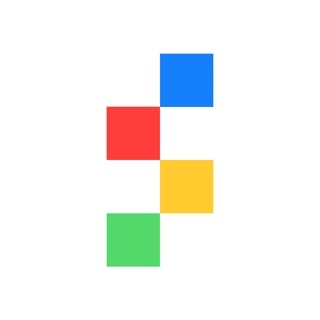 Minimalist is great, but not at the expense of useful information. I really don't have too much to add from the excellent and constructive review by "Another Game Person". I had hope for the game when the first level that had multiple lights appeared, expecting to have to light them simultaneously with a splitter - something like that could become interesting and potentially diabolical. 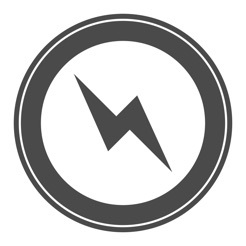 In terms of other helpful reference games, check out Transmission and the older Flash game Electric Box 2. This game is not worth your time. There is basically no difficulty curve since all levels follow a very simple strategy for solving (working backwards makes it child's play). The design is all right and it looks nice, but the gameplay just isn't there. Notes for the developer: Having to hit next at the end of every level is unnecessary--make it automatically progress. Why do some switches only have two states while others have six? This isn't graphically apparent anywhere. Transistors going out of their completed state on being hit from another side is annoying and unnecessary. Level 17 you don't even need to use the top left two transistors. If at all possible make it more interesting. 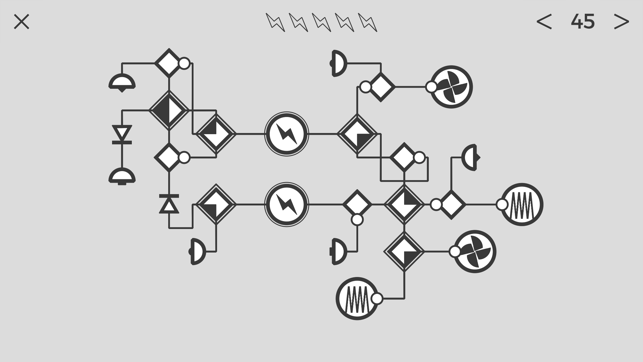 If you set up switches in the right way such that an electron did a particular computation (spawning other electrons to combine in nand gates) and you have a goal state that might be more interesting. Your design sense is decent and with your skills you could do much better. For a better example of a game that has a finite set of states in each cell and is based on creating routes I refer you to Trainyard. 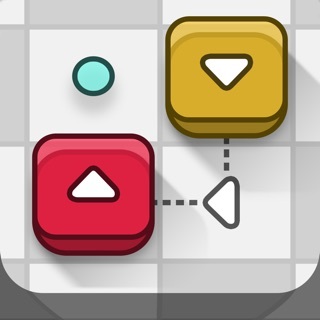 I agree with the other reviews that the levels require patience more than ingenuity and are essentially mazes. But mazes can be fun; go in expecting a game that is about patient elimination of possibilities rather than deep thought and it's enjoyable. The difficulty curve ramps up a bit in the last 15 or so levels. And the last three or four levels are quite absorbing - another dozen at that level would be good.